To create a map in MightyEditor, simply select the ‘stamp’ tool in the toolbar (left side), then, from the asset panel, select the asset you want to place and finally – put it on the map (hold CTRL to snap to grid). Usually, the first thing you place, when creating a map, is the background. 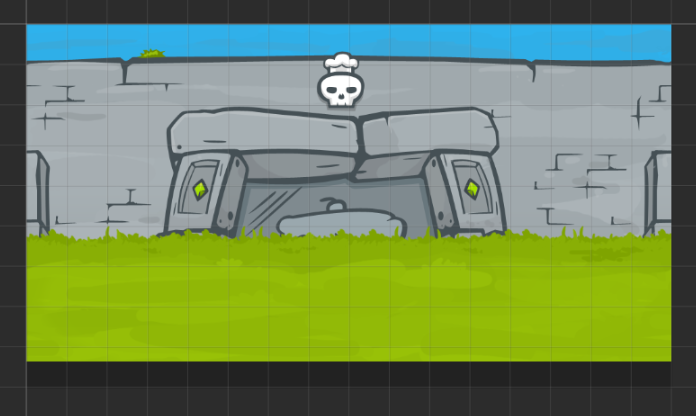 The example above consists of two assets (images) – the temple and the grass. Temple was placed first, so that the grass would be on top. After that, place other objects wherever you please. 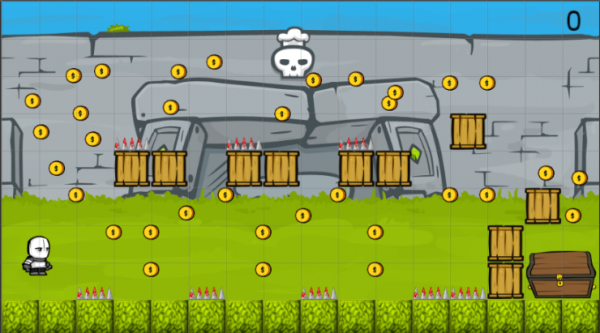 A game is usually composed of multiple objects: background, character, hazards, platforms and a goal. All of these things are placed by using the same stamp tool. To select an already placed object, use the ‘arrow’ tool. All placed assets should be withing the dark-grey area of the map editor. For information about world and viewport sizes refer here. 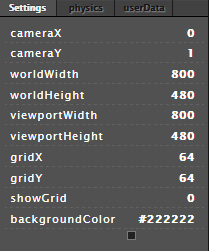 backgroundColor – the colour of the background (click the small box for colour picker). What exactly doesn’t work in offline version? Which OS do you have?